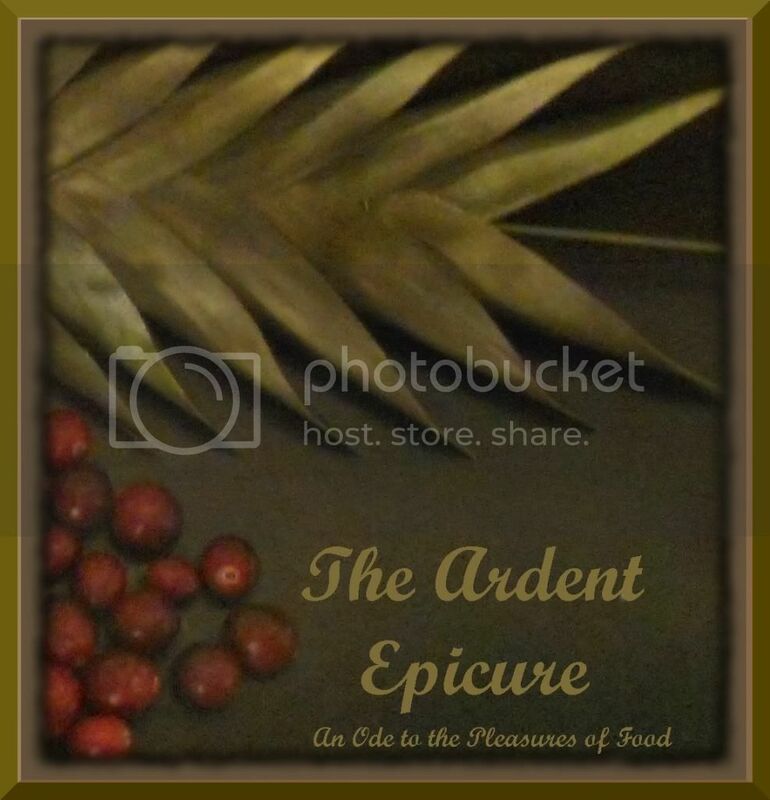 Everyday Life... A gastronomical journey! The lemon is that sour but sweet fruit we all know and love. Most often used to make lemonade , a classic refreshing drink made with lemons, water and sugar, the lemon can also be used in a variety of culinary situations. From dishes like lemon chicken to lemon pepper and lemon meringue pie , this wonderful fruit has something for everyone. The lemon is a segmented fruit with a thick, bitter rind that grows on trees. Although green while ripening, the ripe lemon in a beautiful yellow that ranges from a yellowish-orange, to an almost neon yellow. The bright color of the lemon led to the use of its name to describe bright yellow colors, such as a "lemon-yellow vehicle". While most of the rind of the lemon is bitter white flesh that has a foul taste, the very outer-most part of the lemon rind (the yellow part) can be used in a variety of applications, to lend a lemon flavor to a dish. This part of the rind is cut off from the white part, and is often called lemon zest . This can be used fresh or dried, and is added to spice mixes or added straight into foods. 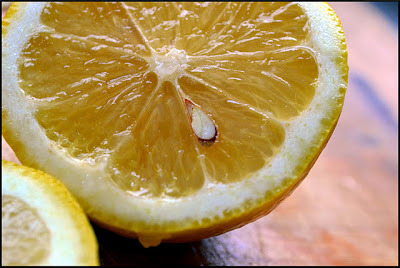 The essential oils in the lemon zest are released when it is zested , and impart a great lemon flavor. The zest of the lemon can be added anywhere you want to impart a strong lemon flavor, but be sure to chop it accordingly, since the pieces can be tough and have an unpleasant texture it left to large for the application. Bearss Lemon - this type of lemon is found in Florida, and is found on a tree that bears a large amount of fruit. This lemon is often used for making lemonade. Bush Tree Lemon - this type of lemon grows in Australia, and bears a very strongly-flavored lemon with a very thigh skin, the zest of which is often used in cooking. Eureka Lemon - this type of lemon is a common lemon in the U.S., often found in California. This type of lemon is very acidic, and can be used in many different applications. This type of lemon is also made in seedless varieties. Femminello - this is actually a grouping of a few different types of lemons, including the Femminello Sfusato lemon, which is used to create limoncello liqueur . Genova Lemon - this lemon is found in the U.S. and Europe, but is grown predominantly in South America. It is juicy and acidic and seedless, with a very thin rind. Interdonato Lemon - this lemon is actually a hybrid between a lemon and a citron (though not huge like the Ponderosa variety), and is found in Italy. It is very acidic, with few seeds. Lisbon Lemon - this type of lemon is another bitter, acidic and juicy lemon, similar to the Eureka lemon. This type of lemon is also made in seedless varieties. Meyer Lemon - this popular type of lemon is actually a hybrid lemon, crossed with a lemon and a sweet orange. This results in an unusually sweet lemon that is often used in sweet dishes, and in baking. Monachello Lemon - this type of lemon is another found in Italy. Ponderosa Lemon - this type of lemon is actually a cross between a lemon and a citron, and is known for its extremely large fruit. It has a very thick skin and many seeds. Primofiori Lemon - this type of lemon is also found in Italy,bearing a small, very juicy fruit. Verna Lemon - this type of lemon, found in Spain, is lemon of fair acidity, and is the most commercial crop in Spain. Santa Teresa Lemon - found in Italy, Turkey and Argentina, this lemon bears a rind that holds a large amount of very fragrant lemon oil. Villafranca Lemon - this type of lemon is found in Europe and the United States, is similar to the Eureka and Lisbon varieties. * There are also several other types of lemon hybrids in addition to the ones mentioned here. Also, look in your local specialty foods store for lemon oil , to obtain that lemon zest flavor in an oil to use for cooking, when you want that great lemon taste, but don't want to use pieces of zest. In addition to lemonade, lemon juice can be used in a variety of savory and sweet applications. Try squeezing lemons onto fish or chicken dishes, into Mexican food, on shrimp, in salsa (also great with lime ), into drinks, or anywhere you want that tart, tangy lemon flavor. Use sweet lemons to accent sweet dishes. When you buy a lot of fresh lemons (or pick several off of your lemon tree), you don't want them to go bad before you can use them. Old lemons will shrivel up, and lose a lot of their tart flavor. To keep lemons fresh as long as possible, store them in the vegetable drawer of your refrigerator in a plastic bag . If you slice a lemon, and have more left over, seal it in an air-tight container or back to prolong freshness, and use as soon as possible. Remember, that extra piece of lemon will go great squeezed into tea or water, so don't let it go to waste! Also, note that once you zest or cut into a lemon, it will start to deteriorate much faster than a whole lemon, as air is able to get past the protective rind. Whenever possible, try to make use of as much of the lemon as possible, and zest a lemon you are planning on using already. This will result in less waste. 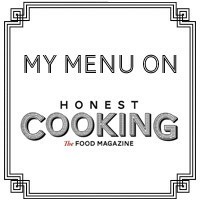 Check out this site for a great lemon bar recipe! Lemons are a great thing to have around all the time. Instead of buying them all the time, try having your own lemon tree ! While lemons can be grown from seeds, growing a tree takes a lot of time and effort, and it is probably best to obtain a starter plant, which is a tree that is already growing, but small. Let is grow, and you will be able to pick your own lemons anytime you need some juice, zest, or fruit to add to your favorite dish! For a few tips on growing lemons, check out this site.